If ever you want to make yourself feel better about your own lot in this cruel world, take time to read about those who experienced workhouse life in the late 18th and 19th centuries. Dickens Oliver Twist is not read as often as it might be nowadays, probably because of what is seen as its anti-semitism, but the opening chapters are as claustrophobic and disturbing as anything he ever wrote. And in 1832, we find a Reverend Millman writing to the reformer Ernest Chadwick: the Workhouse should be a place of hardship, of coarse fare, of degradation and humility; it should be administered with strictness, with severity; it should be as repulsive as is consistent with humanity. These days, it is fashionable to talk about urban and rural deprivation in the 19th century as 'the Long Victorian Night'. While the Victorians are not to be blamed for nothing, it should be noted that both the setting of Dickens' novel, and Millman's sadistic evaluation, predate the Victorian era. The influence of the reformers would eventually fall upon the houses of industry, and the lack of charity shown by the reverend gentleman would gradually come to seem misplaced, which must still give him pause for thought as he negotiates the fires of hell, I suppose. The workhouses grew out of the pressing need for parishes to provide some sort of welfare sytem. Increasingly, this provision was made on a hundred-wide basis rather than by individual parishes. In the 1760s, an act of parliament provided for the setting up of Houses of Industry, and the United Hundred of Mutford and Lothingland built one of theirs here, on the outskirts of Lowestoft. 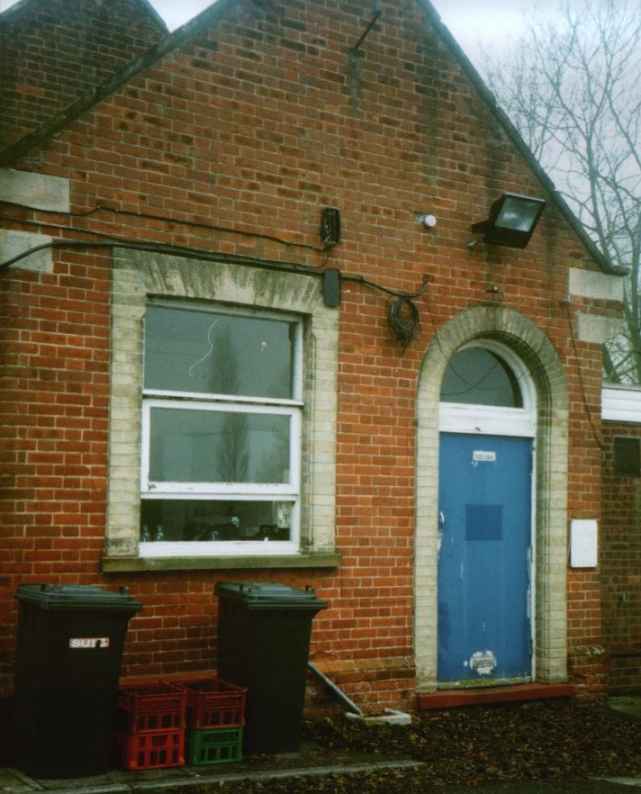 In 1835, it fell under the management of the new Poor Law Union, and was one of their two workhouses, this one serving the east of the Union; the other was at Shipmeadow, between Beccles and Bungay to the west. The Lothingland workhouse was considerably enlarged in 1836, and that is probably when this chapel was built. Until then, spiritual care of the workhouses fell naturally under the care of the local Parish minister; we must remember that the Church of England was essentially an arm of the State, a situation that, to an extent, persists to this very day. In the case of this workhouse, it was the Rector of St Michael, Oulton. Many of the workhouses appointed chaplains of their own during the 19th century, and the dining rooms took on a dual role, being used for a Sunday service. In addition, inmates might attend the parish church itself. In the 19th century, however, most workhouses built chapels of their own, partly as a as a response to increasing need, but also, as the century went on, because of the changing understanding of the nature of the Church brought about by the Oxford Movement. Elsewhere in Suffolk, former workhouse chapels survive at Shipmeadow, Bulcamp, Tattingstone and Newmarket, and you can sense the ghosts of the one at Barham. Many of them had dedications, although I am not sure if that happened here. I would certainly be very pleased to hear from anyone who has heard of it. These chapels were effectively Anglican chaplaincies; it seems that inmates of other denominations (and in a place like Lowestoft, there must have been many) were entitled to visits from their own clergy, but no services for other Churches were celebrated. You can read more about this on the entry for Shipmeadow workhouse. At the time of the 1851 national census of religious of religious worship, Oulton workhouse chapel hosted one service every Sunday. The chaplain was a Reverend HG Salter, a curate from nearby Gorleston. He earned £40 a year for doing this, barely £8,000 in today's money; but workhouse chaplains were non-resident, and he probably got a slightly larger amount for his curacy at Gorleston. If he spent more time there than here, I suppose that we can hardly blame him. There is an interesting comparison to be made with the Semer workhouse, across in mid-Suffolk, which had no chapel until the later 19th century. In 1851, the chaplain was the Reverend ACJ Wallace, and he was earning £63 a year, (about £13,000 today) supposedly for reading Divine Service on a Sunday, but also for saying prayers every morning and evening in the dining hall. This was in addition to the whopping £430 (£85,000) he got each year for being Rector of Monks Eleigh. Call me cynical if you like, but I find it rather hard to imagine him under those circumstances making the journey out to Semer twice a day in person. 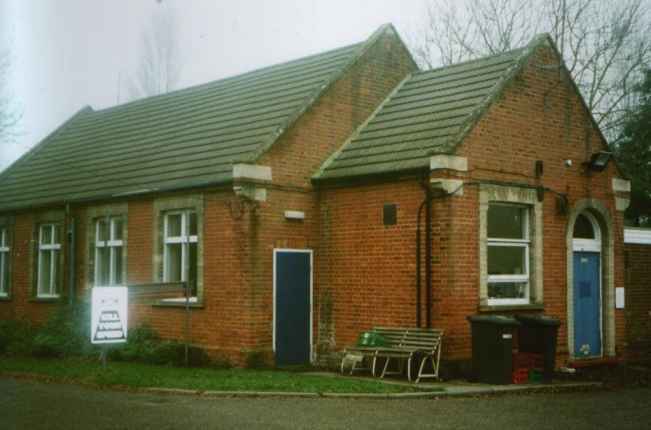 Oulton workhouse chapel is a very simple red-brick building. What at first appears a chancel is actually an entrance porch, but this is the usual arrangement of small churches of the time before the 19th century resacramentalisation of the Church of England. At the other end, the outer wall has a blind window that suggests image niches, which is a nice touch. Interestingly, the workhouse was expanded in the 1880s with the addition of infirmary blocks, suggesting an intended transition into a new role as a hospital. In the 20th century, it did indeed become Lothingland Hospital, and although virtually all the workhouse buildings have disappeared now, the site still remains in use by Local Health Partnerships NHS Trust for offices and day care. Today, the chapel has been considerably altered, inside and out. New roofs, doors and windows make it hard to imagine how it might have been 170 years ago. That the building survives at all is simply a testament to it finding an early new use, and keeping it. 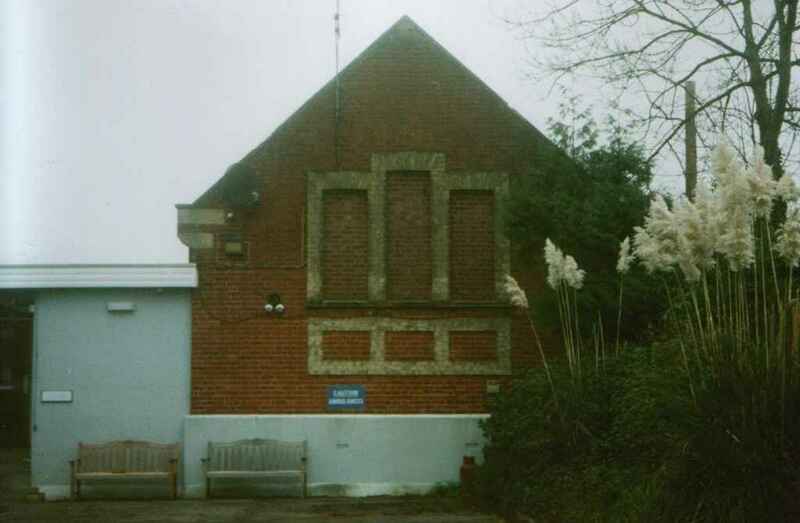 After a time as the chapel of the hospital, it became the local ambulance station; under the care of Essex Ambulances Trust, it retains this role today. Postscript March 2004: I have been told this week that this building has now been demolished.